Adam Chinoy graduated from Fairleigh Dickinson University, FDU, in their Electronic Filmmaking Program, Spring 2005. 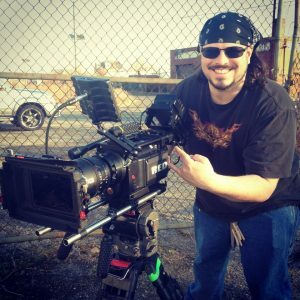 Storytelling and art has always been the biggest part of his life, and throughout his years at FDU, Adam had learned how to make movies and how to take his art and storytelling to a new level. Currently, Adam has been taking on freelance jobs; doing random jobs of being an Assistant Director, Gaffer, Director of Photographer and Final Cut Pro Editor. He has worked for companies like My Good Eye, Moxie Pictures, and MTV. Marcos Cosme is a Fairleigh Dickinson University Electronic Film graduate. The student film Ethan Ross was a senior thesis project that was finished for the Spring 2004 semester. Since graduating in 2004, Marcos has been involved in the productions of many films with Green Gecko Films and outside of it. Marcos continues to write and produce many projects.